Joined by The Pretenders, the pairing hit the road for a 27-city tour that will begin in Phoenix, Arizona on October 25. An American Express presale runs September 7 at 10 a.m. through September 11 at 10 p.m., with general public tickets on sale September 12 at livenation.com. 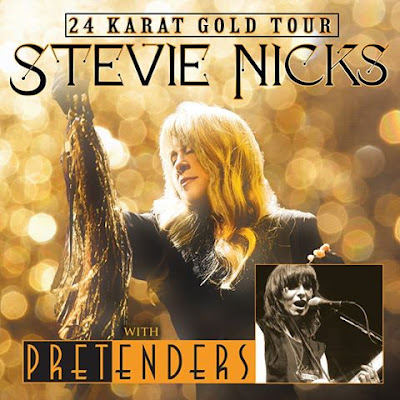 Nicks recently completed a 14-month, 122-date tour with Fleetwood Mac and saw an opportunity in her schedule to launch a solo trek of her own. “24 Karat Gold – Songs From the Vault” features a collection of lost and stray songs that the singer has written and recorded through the years but never made it onto an album. The project debuted at No. 7 on the US Billboard Top 200 upon its release in 2014.